Mountain bikes are ideal for all sorts of different conditions. While a road bike is great for cruising down long stretches, a mountain bike can be used to get through rough and rocky terrain that many types of bikes just couldn’t handle. You'll often find some type of suspension system in a mountain bike, along with thicker tires that aren't as inflated as road bikes, a straight handlebar, and other features that make MTBs the most effective and durable for off-road conditions. They aren’t only meant for riding in the mountains, of course. While they’re a bit heavier and slower than a road bike, for the average rider it’s not going to make a huge difference, and they’re easier to ride. This is a practical choice if you’re deciding between different types of bicycles, and we’ve put together this guide to help you find the best entry level mountain bike in order to help you make the perfect decision. By Max Shumpert: This article has been updated to reflect the most accurate information regarding trail bikes available for those who are interested in off road cycling. The top 7 available have changed, and information has been added to assist individuals in finding the best beginner mountain bike currently available on the market. The FAQ has also been updated. 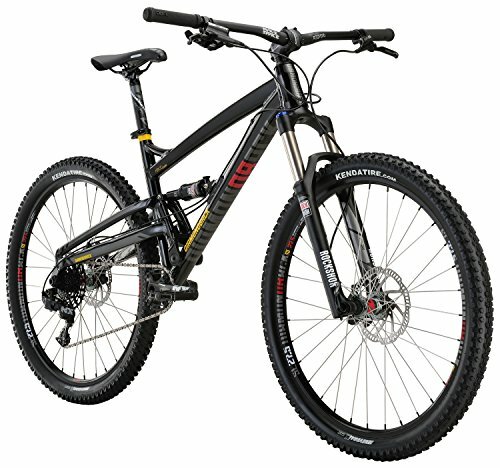 High-end mountain bikes can sometimes climb as high as $4,000 to $5,000. While these include some of the very best mountain bikes in the world, you can still get a lot for the money if your budget goes up to the $2,000 mark. These are the two best in that price range. For those who are willing to spend around $2,000 for a mountain bike, expectations are demanding -- and they should be. BEIOU’s 650B carbon fiber bike manages to cram as many high-end components as possible into a superior carbon frame, without letting the price climb too high. The result is a top-tier mountain bike that is perfect for competitive cross country racing, while still being able to handle some tougher trails and paths. Everything starts with the frame. Toray T800 carbon fiber material is used, giving it the proper amount of flex in the rear, with additional strength focused on high-stress points. The weight savings provided by the carbon fiber allows the 650B to remain under 24 lbs. when fully equipped. Carbon fiber isn’t just used for the frame with the 650B. Both the seatpost and handlebar are crafted from the same Toray T800 material, giving the entire bike a more cohesive feel, while keeping the weight as low as possible. A BEIOU saddle provides the perfect amount of cushioning, and matches the bike’s finish. The gear system and drivetrain are another standout aspect to the 650B. Shimano Deore 610 technology is used for the shifters, which give you complete and precise control over the 650B’s 30 total gears. A Prowheel integrated crankset and Sunrace MTB cassette help power the drivetrain. The wheelset is another major strength of this bike. RT 27.5” wheels offer a versatile size profile that is ideal for cross country racing. Maxxis tires help to give the 650B an added measure of speed that can make a noticeable impact during competitive use. Brake components vary depending on the size of frame you get. The 17” models uses Shimano M355 brakes, while the 19” version utilizes Tektro HD-M285 hydraulic disc brakes instead. Both have ample stopping power with plenty of control when needed. The BEIOU 650B is definitely not a budget-minded bike by any means, but it also doesn’t over-inflate the price just because it’s a carbon fiber frame with a slew of high-end components. For the money, the 650B provides superior performance on every single level. Its strategic design and meticulous planning has created a professional-level bike for a cycling enthusiast price. It’s impossible to think of a better bike for this price range. Read our in-depth review on this link. Full suspension frames can be a little tricky when they are intended for trail use. While well-intended, they still usually end up having too much bounce with the suspension, and also have mushy handling when navigating tight areas and switchbacks. Diamondback’s Atroz avoids the common mistakes from many other full suspension bikes, and the result is an incredibly versatile and agile full suspension mountain bike that provides an ideal amount of shock absorption, but not at the expense of the feel and handling. The core of the Atroz is its butted aluminum alloy frame that provides aggressive geometry, while still offering an an acceptable overall weight amount. The frame feels responsive on the trail, and allows the suspension to do all the work in the process. RockShox technology is used for both the front and rear suspension. For the front, a Recon silver coil shock with 120mm of travel absorbs a high amount of impact with ease. In the back, a Monarch-R air shock moves seamlessly, while also eliminating the common and annoying chain slap you can get with other bikes. For rides on smoother surface, both of the shocks can be locked out in a matter of moments, helping you maximize your pedal efficiency. As for the seating, a Diamondback Sync’r saddle provides a surprising amount of comfort and a versatile fit, while an alloy micro-adjust seatpost gives up to 45mm of reach. SRAM holds down the most crucial aspects of the gearing system, with an NX rear derailleur and shifters handling the 11 different speeds, which are provided with an NX cassette. The gears are ratioed perfectly, and provide enough coverage for the different speeds you’ll need during standard trail usage. SL 27.5” rims give the Atroz the durability needed for trail rides, while Kenda Nevegal Lite tires offer a high level of performance for all types of surfaces, whether it’s hard or soft pack. Tektro Gemini hydraulic disc brakes ensure dependable stopping power and easy control on any terrain. If you prefer full suspension for your trail riding, and want to keep your pricing in a mid range, the Diamondback Atroz is worthy of your attention. Its simplicity and strategic design gives it a surprising amount of handling, control, and pedal efficiency, without reducing ample shock travel amounts and shock absorption. That’s a rarity with full suspension trail bikes. You don’t have to empty your savings to purchase a higher-end MTB that offers a more professional feel on the trail. If you’re willing to go as high as $1,000, you’ll find a surprising amount of bikes that look and ride similar to competitive bikes. Here are our favorite two. 29er mountain bikes (models that have 29-inch wheelsets) are becoming more widespread in their use. The added size allows for better handling of smaller trail obstacles, and helps with top overall speed efficiency as well. The Diamond Overdrive 29 is a great example of a 29er offering performance that is a few steps up from an entry-level bike, but maintains a price range that is a few steps down. It combines an aggressive frame design with a mixture of quality components to ensure a smooth, efficient ride for an affordable price. The frame is a hand-built 6061-T6 aluminum alloy model hard tail that is more than capable of handling tough trails and repeated impact, while giving the rider the proper position when using the larger-sized tires and wheels. An SR Suntour suspension fork gives the Overdrive 29 a solid amount of travel with the shocks, without taking away too much pedal power, or creating a less-responsive amount of steering. Very appropriate for cross country enthusiasts and trail riders alike. The Overdrive’s drivetrain is composed of Shimano-brand components, and provides 24 separate speeds, giving you more than a few options when you are climbing, descending, or just making your way across flatter trail portions. The 29-inch tire size is provided by Schwalbe, and gives the bike an added emphasis on traction and skid control, something sorely needed with 29-inch wheelsets. Tektro handles the braking aspect, with very responsive and low maintenance disc brakes that are easy to control during any portion of the ride. Those who are looking for a more affordable 29er that is serious on the trail will find a lot to love with the Diamond Overdrive 29. It serves as both a step up from entry level mountain bikes, or as an affordable way for an experienced rider to try out the 29-inch size. You can find our in-depth review by clicking here. BEIOU is well renowned across the world for making incredible bikes using only the best components and precision engineering. The Toray T700 is no different, which is why practically the entirety of the bike is made using carbon fiber. Carbon fiber is one of the lightest materials that still offer the necessary strength and durability for a bike. By using it, BEIOU has been able to reduce the weight of the bike drastically to around 25 pounds, making it light enough to hold in a single hand easily. This lightweight isn’t just convenient for transportation; it makes the bike easier to control on the ground and when you get air. For intermediate and advanced riders this control is vital to getting the best performance and the fastest race times. The drivetrain is 27 speed, giving you fantastic versatility which is necessary for biking in the toughest terrains. You’ll also note from the pictures that the front fork has a substantial suspension, helping to reduce the shock of bumps which makes it safer and also gives you greater control on the roughest ground. Below this suspension is the disk brakes, a more advanced brake that is common on the best mountain bikes. These bikes provide tremendous force, allowing you to brake rapidly so that you can make the highest corners while still keeping speed throughout. These disk brakes are located on both the front and rear wheels, while many inferior bikes only include them on the front. Even the handlebar and seat post are constructed out of lightweight carbon fiber. The handlebar and seat post are also both aggressively forward leaning, giving you greater control downhill and even putting you in a position that will reduce the impact of the bumps on your command. The vast majority of reviewers noted how smooth the ride was and also how simple it was to assemble which saves you money instead of going to a bike shop. One reviewer also reassured others about the quality of the bike and its value for money. At around $850 it’s easy to be skeptical, especially when it’s manufactured in China. But for that price you get a carbon fiber hardtail bike that uses premium components, it’s tough to beat that value for money. Overall, the BEIOU Toray T700 is a fantastic bike, especially when you consider its price and the specifications of other bikes at a similar price point. 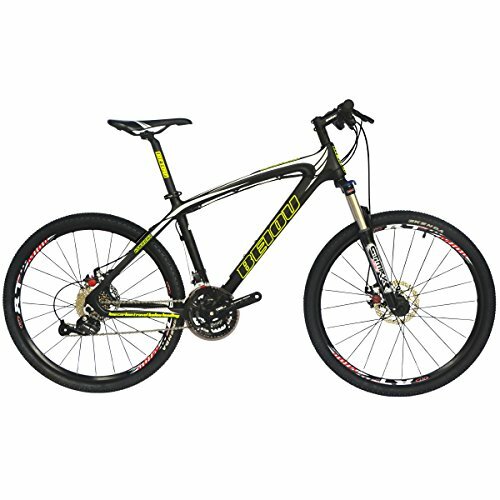 Lightweight, durable and easy to assemble, it’s the ideal bike for an intermediate to an advanced mountain biker. Read more about this bike by clicking here. The under $500 price range represents the lowest budget level in our guide, but that doesn’t mean you have to settle for mountain bikes that are barely above a department store level. 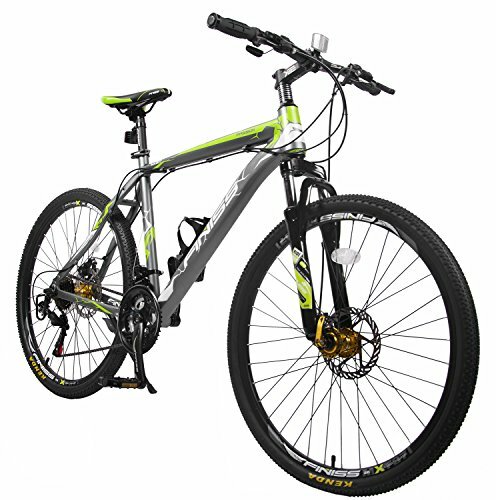 The three bikes below are all examples of quality mountain bikes for a very affordable price. We’re not really sure how Gravity managed to cram this many features and solid components into a mountain bike in such a low price range, but we’re definitely okay with it. This is not one of those cheaply-made full suspension bikes you see at big box stores. The Gravity FSX 1.0 is a legitimate full suspension bike that is capable of taking on some intense singletrack trails, and even some slight downhill paths as well. Brand name components, an acceptable weight, and a smart design and aesthetic make the FSX 1.0 one of the best bike values, regardless of type. The bike’s hydroformed aluminum frame has flawless welding points, and provides reinforcement and strength in all the right areas. The bike hovers around he 26 lb mark, which isn’t overly impressive, but definitely serviceable for the price. Suspension is comprised of Suntour shocks that are adjustable in both the front and rear. 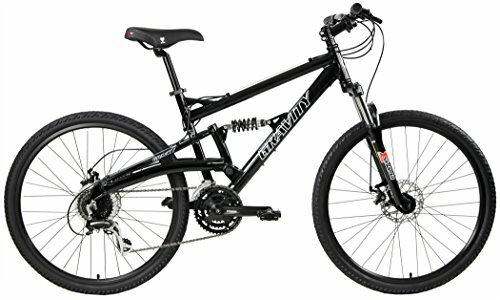 The travel amounts are suitable for trail and all-mountain riding, while also offering the right amount of rigidness for more efficient pedaling and precise steering. The FSX 1.0’s seatpost is made from the same aluminum alloy as the frame, and supports a surprisingly comfortable saddle that makes casual riding and flatter trail sections much more enjoyable. The bike’s gear system is comprised of Shimano parts, including the Shimano EFT shifters that are feather-light, and very reliable in between tuneups. All of the gear components work together to create a 24-speed system that features impressive ratios and coverage. The tires on the FSX 1.0 are lacking a bit in the traction area, but still have ample coverage and an added amount of durability to withstand small punctures and pinch flats. A tire upgrade brings the performance of the FSX 1.0 up to even higher levels. As if all these components aren’t enough already for a bike that barely clears the $330 mark, the FSX 1,0 also comes with Tektro Novela disc brakes. Overall, it’s practically impossible to think of any other bikes that come close to delivering this much quality on a full suspension bike for this low of a price. The FSX 1.0 is the definitive entry-level full suspension mountain bike. 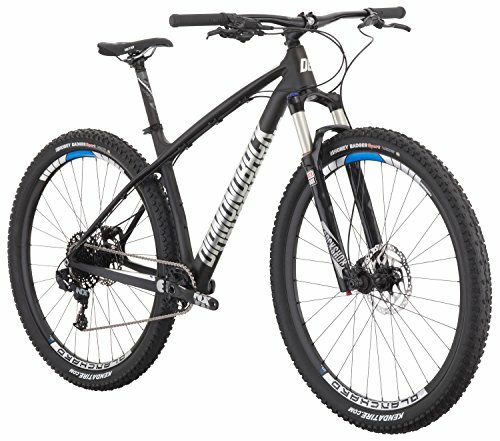 Finding a highly-affordable hard tail mountain bike that actually has a quality feel to it is way harder than it should be. While you may encounter one that has a decent look to it, once you get on and ride, you realize it was an illusion. The Merax Finiss is the solution to this problem. It is definitely on the beginner level for mountain bikes, but it certainly doesn’t ride like one. In fact, with just a few upgrades down the the line, it can easily serve as an intermediate level bike that can take on somer tougher trails. The aluminum frame is nothing to get excited over, but it’s not a clunky, heavy frame like you’ll get with inferior bikes in its price range. It offers a responsive feel on the trail, and doesn’t weigh too much either. The seatpost is adjustable with an easy-to-use clamp, and the saddle itself is noticeably comfortable, far better than saddles you’ll often find on bikes in higher price ranges. The gear system is made up of various Shimano components that results in a smooth, quick, and precise 21 speeds that offer enough coverage to give you ideal gears for everything from steep climbs to achieving higher speeds on long, flat surfaces. The wheelset is another aspect of the Finiss that is worthy of some attention. Meras uses their own double-walled aluminum rims, which come with 26 inch Kenda tires that give the bike plenty of traction on off-road surfaces, including rocky terrain. While the idea of disc brakes on lower-priced mountain bikes is usually a bad idea, not so with the Finiss. Shimano aluminum levers make controlling the mechanical disc brakes easy and smooth, without the need for excess pressure. All in all, the Merax Finnis is easily one the best entry-level, low budget mountain bikes that you can actually take out on a real singletrack trail. 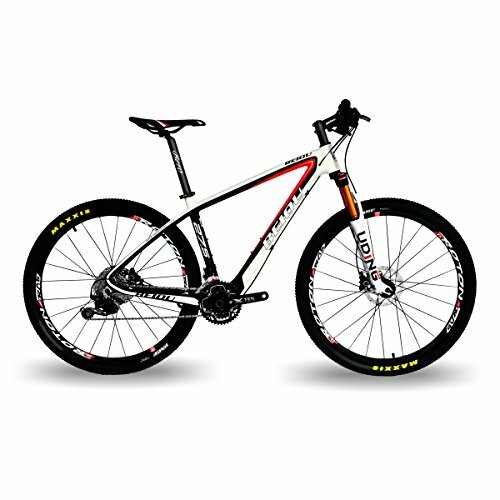 Vilano is already well-known for manufacturing high-quality road bikes for a very affordable price, and the Blackjack 3.0 is a great example of their prowess in doing the same with mountain bikes. 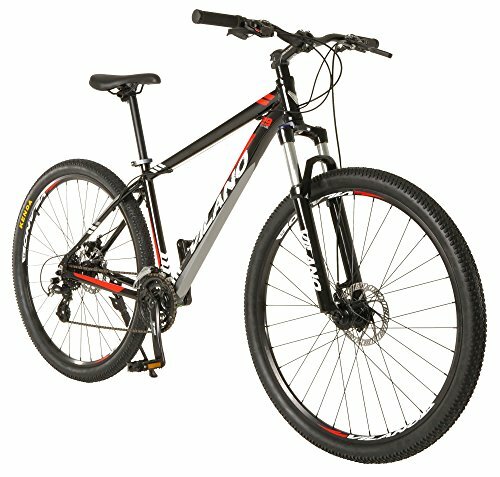 On top of that, it’s a 29er as well, making it one of the most affordable 29-inch tire mountain bikes. It all starts with the standard aluminum alloy frame that’s not overly heavy, but not noticeably light either. The frame is hand-built and butted using 6061 alloy, with seamless welds as well. The bike’s seatpost is made from the same material, and supports a contoured, slightly-padded saddle that is serviceable for most, although heavier riders may want something a little better. The Blackjack 3.0’s front suspension fork isn't the greatest, but that’s to be expected with this price range. There is one major advantage with it however, as the shock provides a quick lockout feature for this who need more stability and pedal efficiency. The gear system is made up of Shimano components, with the gear shifters being integrated into the brake levers, just like their popular road bikes. You get 24 speeds total with the Blackjack 3.0, which is perfectly fine for most moderate trail riding scenarios. We aren’t exactly sure who makes the wheels, but the 29-inch design holds up, and functions in the same way as any other bike with larger wheels and tires. You can clear obstacles easier, and attain higher speeds with less effort. The Blackjack 3.0’s tires are made by Kenda, and have adequate traction for dirt paths. The bike’s disc brakes are superior to other bikes in the lower entry-level price range, and provide a great amount of stopping effort and control with little hand effort. Simply put, the Vilano Blackjack 3.0 is an entry-level 29er you can buy, and feel totally confident about. 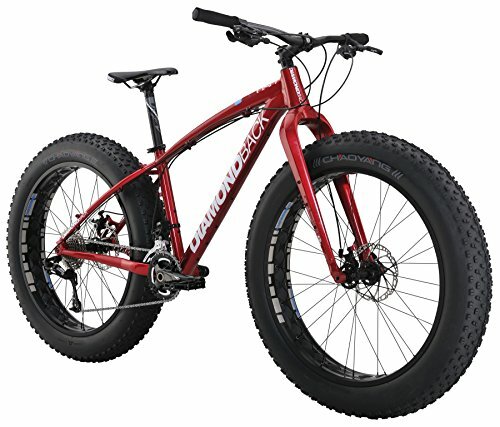 Fat bikes are no longer a side niche, but a viable and increasingly-popular bike type that is still winning over riders who need a better way to navigate surfaces like sand and snow on a mountain bike. Diamondback utilizes their usual sense of innovation and precise engineering with their El Oso series. The Grande is one of the more higher-end models, and offers a smooth and confident ride via the oversized tires, while mixing in quality components and features. The result of this combination is an excellent fat bike that is so versatile that some prefer to take it to regular trails as well, and even some lighter commuter riding from time to time too. The frame of the El Oso Grande is made from hydro-formed 6061 alloy aluminum, and features excellent craftsmanship and welding. The frame ensures an optimal riding position, while distributing weight as it should. The overall weight of the bike is around 29 lbs, which is where you want a fat bike to be. SRAM components are used for the gear system and drivetrain, which totals out to 20 gears. The ratio of the gears is ideal for intensive off-road situations, and gives the rider lots of options when trying to find a stride. Stopping is effortless with the bike’s hydraulic disc brakes. The Chaoyang cruiser 26” x 4.9” tires are the real stars here, offering up plenty of ground coverage and shock absorption, especially at lower PSI. Adding some extra air pressure makes the Grande even more suitable for normal surfaces. Fat bikes are getting popular for a reason, especially as more riders figure out the best ways to use them. The Diamondback El Oso grande has a mid-level price, and delivers on an even higher level. If you want to hit the ground running in the fat bike world, start here. You can read our in-depth review by clicking here. Alton’s original Mammoth was already a well-respected fat bike that delivered on every level. The company has upped the ante with the newest version of the Mammoth. The 2.0 model offers better performance across the board, and is easily the best value you can get with a fat bike. The aluminum alloy frame is a bit on the heavy side with a 43 lb. total weight, but some may actually prefer this. The frames design offers an aggressive stance, and distributes weight in a strategic fashion. The older version of the Mammoth used Shimano components for the gear system, but they have increased the quality by using higher-end Shimano parts such as FD-Deore, and RD-Alivio.Shifting is even more precise with the provided 27 speeds. Alloy rims and a 26” x 4.0” tire design trims down the wideness a bit, giving the Mammoth 2.0 a bit of extra speed when being used on normal road and ground surfaces. Promax disc brakes give you all the stopping power and control needed to compensate for the larger wheels and tires. The Alton Mammoth 2.0 manages to do all of this for under $750. Riders who want an affordable entry into fat bike riding should give the Mammoth 2.0 their strongest consideration. Women’s mountain bikes have a few strategic tweaks to their size and design, allowing them to be a better match a woman’s body in most cases. These two models are our favorites for a wide range of reasons. Riders that try to keep their bike purchases on lower-level budget know that this can often mean getting a bike that appears to be good, but provides a terrible riding experience in just about every way. The Diamondback Laurito is the opposite of this, ensuring a quality ride for just a little extra money. The Laurito's aluminum frame is lightweight and sturdy, and uses an innovative design that reinforces for added strength in all the right areas, while improving the overall handling, and encouraging a more comfortable and proper riding position. The front suspension fork is made by Suntour, and ensures not just a suitable amount of travel for rail riding, but also a responsive amount of comfort that doesn’t affect the bike's handling. The aluminum seatpost holds a wider saddle that gives the rider better coverage and comfort, while utilizing a more friendly ergonomic shape. Shimano components make up the gear system and drivetrain, which is highlighted by an EF-51 easyfire shifter setup that gives you better control and command over the bike’s 24 total speeds. The Chaoyang 26-inch tires are perfect for this bike’s geometry, user-level, and weight. The tread design gives the bike extra traction on dirt and rocky surfaces, and is still smooth enough for road use. 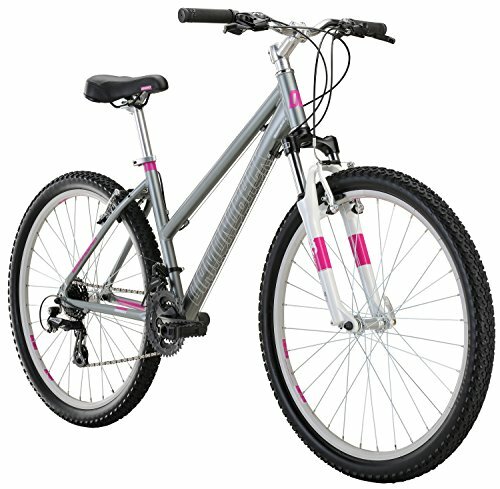 Diamondback alloy linear brakes offer up firm stopping and slowing power with just a small squeeze of the brake levers. We’ve already mentioned it once, but it’s worth saying again. If you're needing an entry-level women’s bike that offers what you need on all the major component and design levels and for an incredibly low price, the Laurito should be your top choice. Buying an affordable beginner’s full suspension bike shouldn’t mean sacrificing quality. 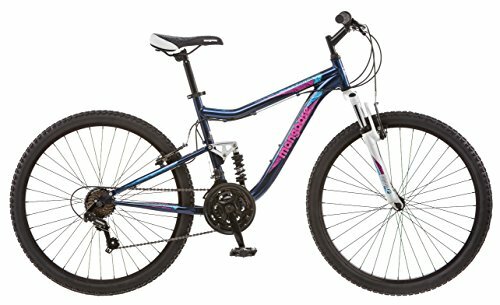 Mongoose Status 2.2 is certainly not the most advanced and well-engineered women’s mountain bike out there, but it succeeds in offering all it can for under $200 total. This makes the Status 2.2 the definition of an entry-level bike that can still offer up the right amount of performance needed for a beginner who is looking to grow in the sport. The frame of the status 2.2 is made from aluminum, and features both front and rear suspension that gives the bike one of the most plush rides you can find for this price. It uses reinforced frame components that add strength to high-stress areas, while supporting the suspension system. The Status 2.2 combines front and rear suspension into one, helping the bike absorb impact and vibrations, both on the trail and off. This is helped by the thick 26-inch tires, which also add an increased measure of traction. The gear and drivetrain use Shimano components for each section, giving the bike a cohesive gear shifting system that makes the best use of the 24 total gears. Climbs, descents, and high speeds on flatter surfaces are all covered with the large amount of gear choices. The Mongoose Status 2.2 is deceivingly solid, providing plenty of performance and durability in one of the lowest price ranges you’ll find with a women’s full suspension mountain bike. Any rider looking for the cheapest and most accessible full suspension bike will be pleased with the Status 2.2. Mountain bikes have evolved so much from when they were first developed that they now have a wide range of designs and uses that cater towards specific styles of riding, and certain terrains as well. Choosing the wrong type of bike can result in a diminished riding experience in more than a few ways. For instance, if you plan to only do some light cross country riding most of the time, and you purchase a downhill mountain bike, you'll be pretty miserable on the trail, as you're riding a bike that was designed for anything but flat and uneventful paths. Careful choosing of a mountain bike also involves knowing the right size, and what components are most important to you when riding. This will help the bike to be more comfortable, perform better, and match your own riding style and preferences. Follow all of these aspects, and you'll end up with the perfect mountain bike for you, while also getting the most for your money. We hope you’ve arrived to this point with a better understanding of what goes into shopping for a trail bike, and how to start looking yourself. Whichever bike you end up going with, always make sure that it has the key aspects you are looking for, size plays an important role, and also the right price. If you're looking for the best beginner mountain bike, this guide should help. 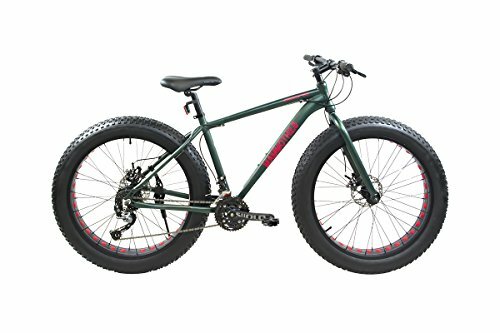 Have any bikes you think should be on this list? Let us know in the comments below and we’ll consider reviewing it!